Custom knife maker and Knife makers' Guild member Kit Carson is widely known for his M16® design, which we offer in many CRKT® production models. 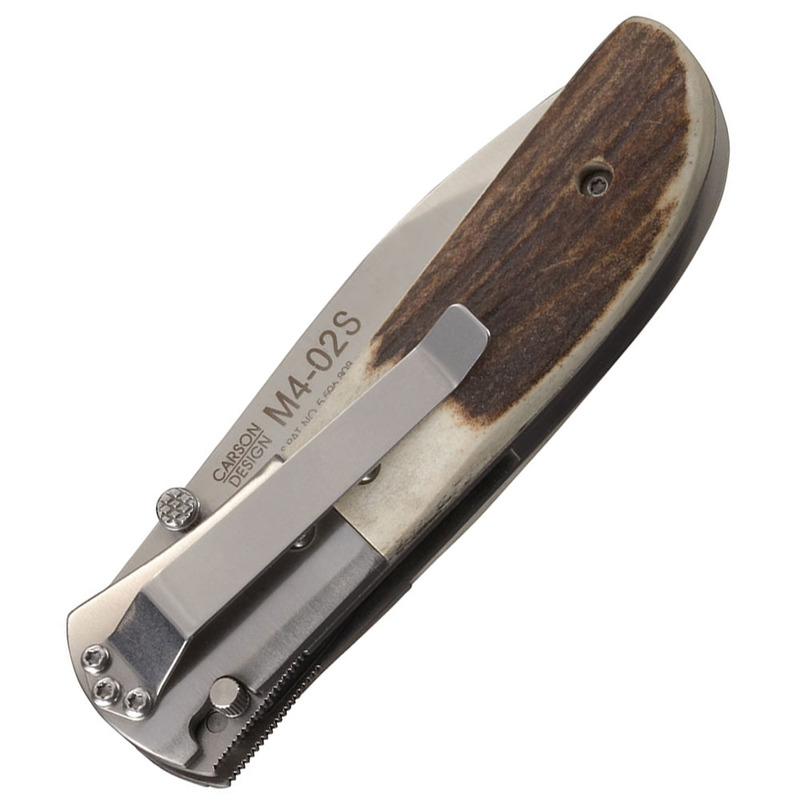 But since 1990, Kit's most consistent selling custom model has been his classic M4™. In his usual unassuming manner, Kit says, "I guess you'd say it's my flagship custom. It's simple, with form following function. 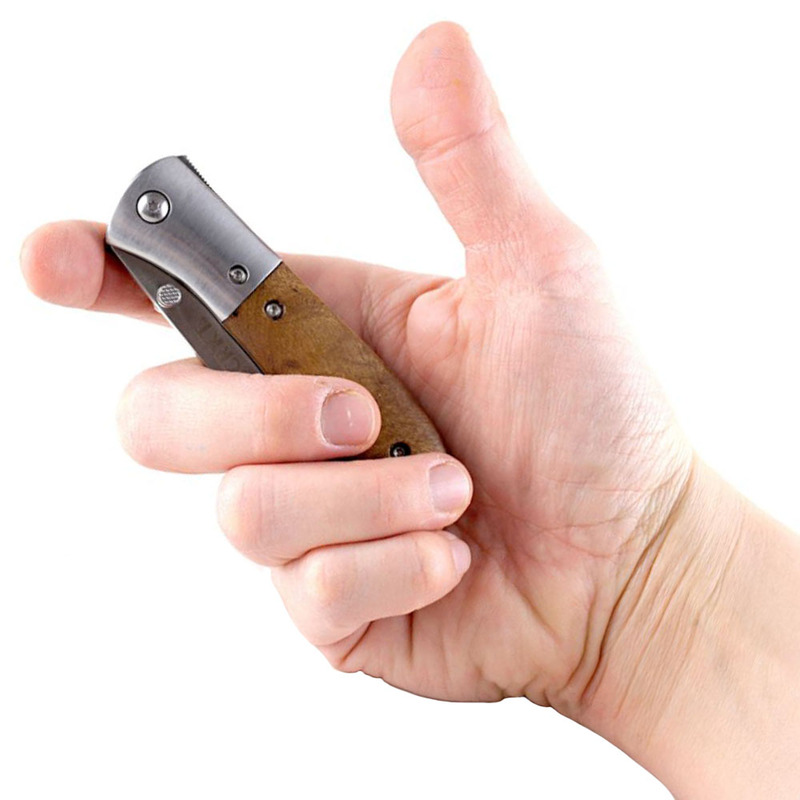 No tricks that look slick but aren't worth a flip in your hand. 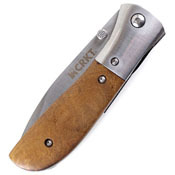 I've made many variations on it, from exotic collectibles to working tacticals, in maybe 20 versions. But I still get more and more calls to make the M4. 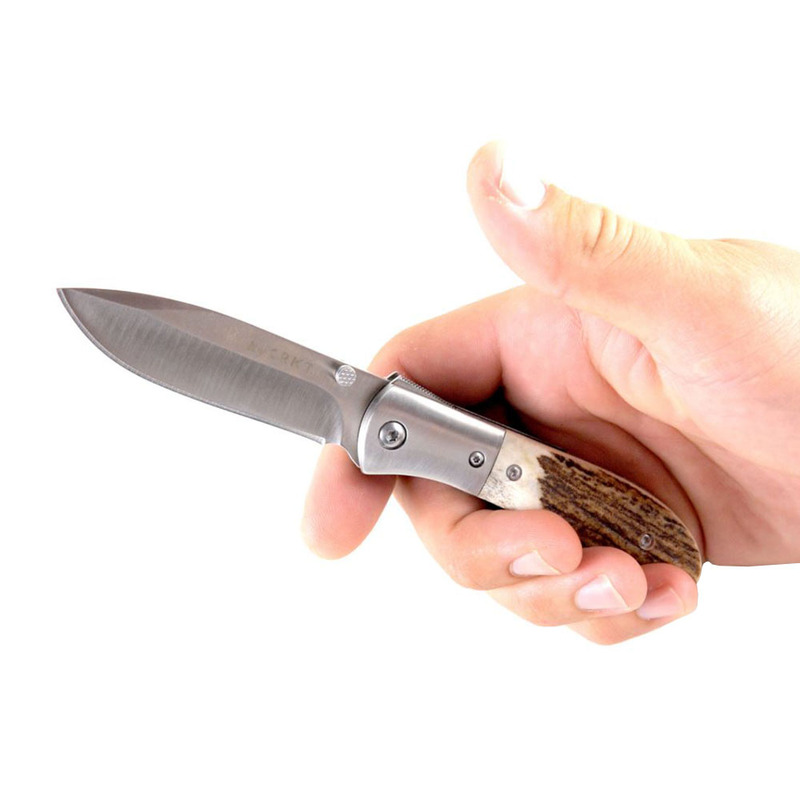 While we were engineering it, we decided to add some more value by offering our Outburst® assisted opening, and our locking liner safety innovation adds an ingenious layer of safety to your folding knife. The safety sets a pin between the locking liner and the frame. 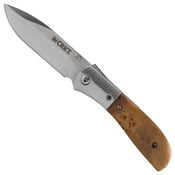 This pin acts as an additional layer of safety, so the locking liner is less likely to disengage during use. To engage the safety, push the manual safety lever forward. To close the knife, pull the manual lever back, slide the locking liner over, and fold the blade into the closed position. 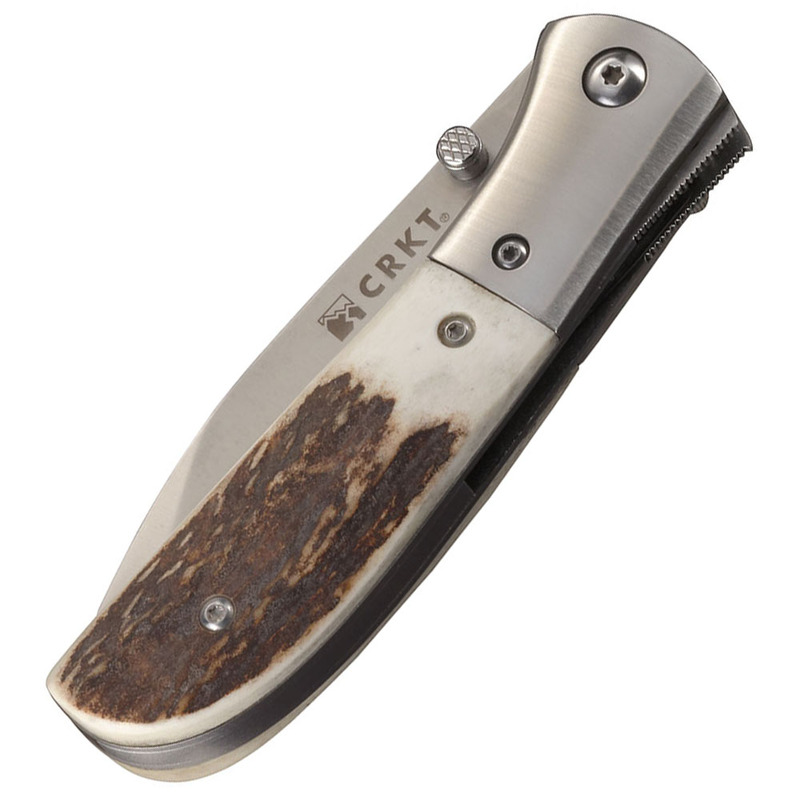 Many CRKT® folders feature this innovative safety system. The Outburst mechanism instantly springs the blade fully open after you have opened the blade approximately 30 degrees. M4 models have dual thumb studs for ambidextrous one-hand opening and bronze bearings and lubrous washers at the adjustable blade pivot for smooth, fast action. The 3.25" blade is a high-hollow-grind drop point of premium 8Cr13MoV stainless steel in a bead-blast finish with a Razor-Sharp edge. 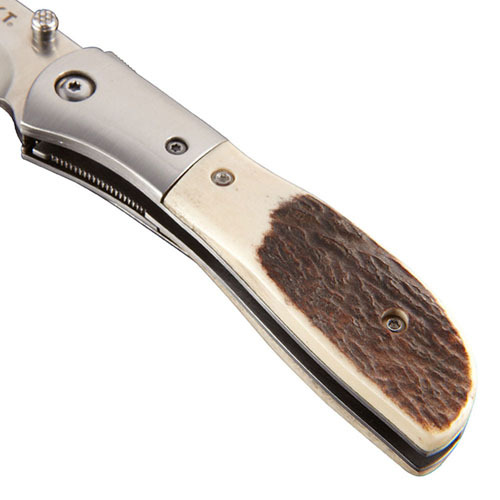 The M4-02S Stag is a deluxe model which has a traditional look with stag scales and brushed stainless steel bolsters. 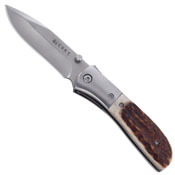 The M4-02W Burled Wood is a deluxe model with burled wood scales and brushed stainless steel bolsters. It's a very classy look.